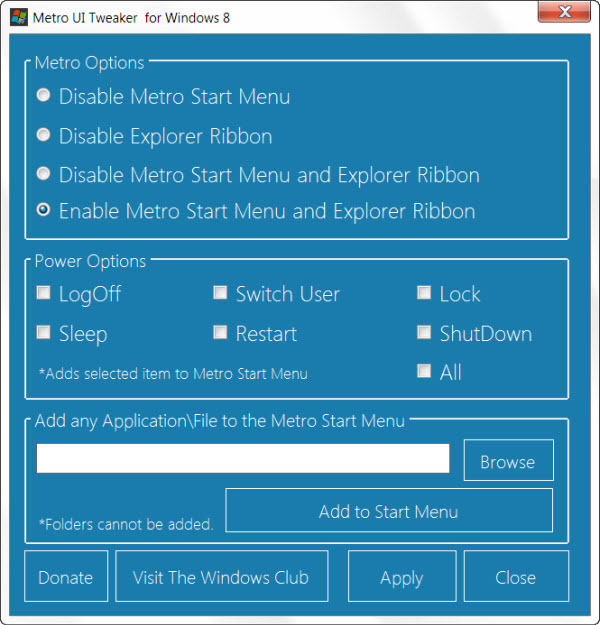 - Disable Metro Start Menu and Ribbon. - Enable back Metro Start Menu and Ribbon. - Add any Application/File to the Metro UI Start Menu Screen. 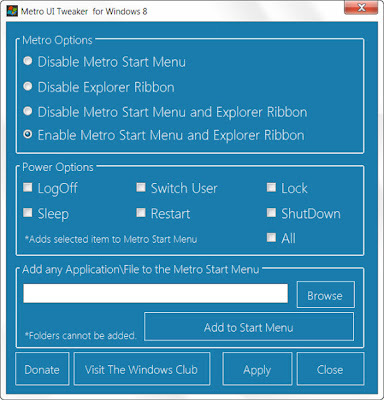 Metro UI Tweaker for Windows 8, ofcourse only runs on Windows 8 32-bit and 64-bit operating system.